For this article we’ll be featuring a client that preferred the venetian blinds as window cover because of its available wide range of colors that can be used to enhance the mood and even brighten their day. 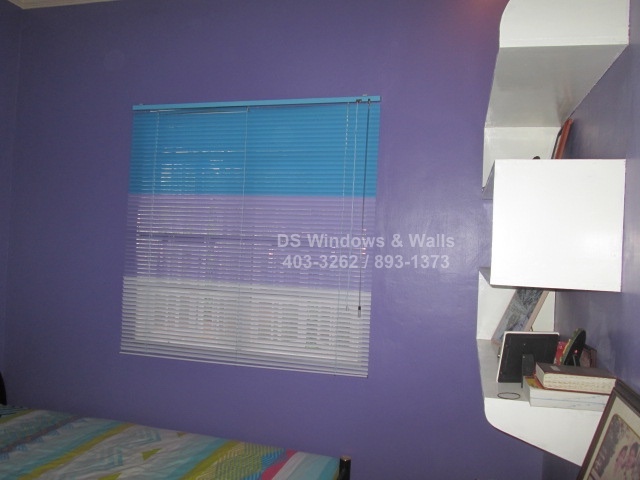 They even used 3-tone color in their blinds to create a richer color combination. Research shows that there are psychology behind each colors. Some suggest that women prefer warm colors e.g. orange, red, yellow and men prefer cool colors e.g. blue, green, violet. Regardless, it is evident that colors affects our mood and sometimes behavior. That is why if you are into colorful room, venetian blinds is one of the best alternative since it is also has the most available color compared to wood and fabric types of blinds. 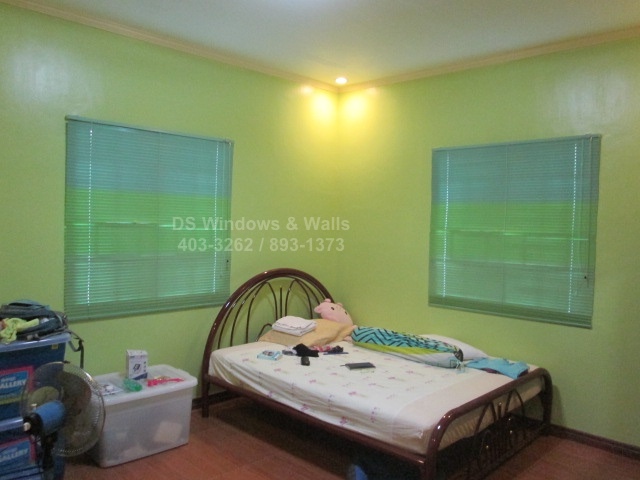 The first room has an apple green color and the green color signify peace, health, and growth. It also has a calming effect since it is the color of nature. Our client ordered light blue on the top, green in the middle, and aqua blue on the bottom (equally divided) that nicely complemented the overall impact of the room. 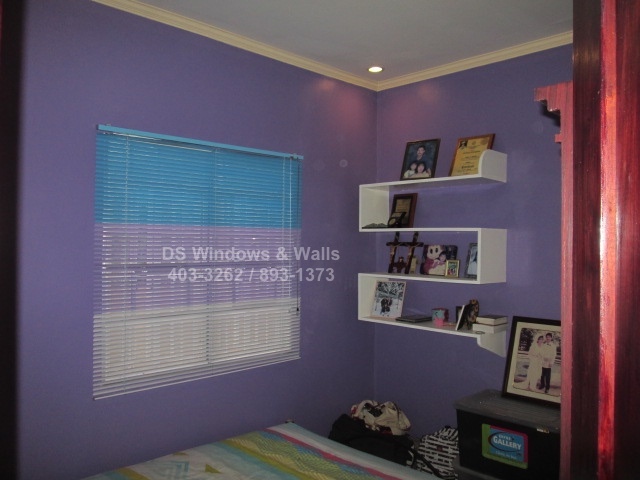 Our client’s next room is colored violet and so she picked a combination of light blue on the top, purple in the middle, and white in the bottom equally divided. The color violet is sometimes signifies authority, sophistication, and power. It can also be melancholic. If you are a guest in this house and you go over to their rooms you’ll easily see and notice the creative and colorful personality of the home owners. It is also easy to see that they have their own style and taste when it comes to home interior designing. 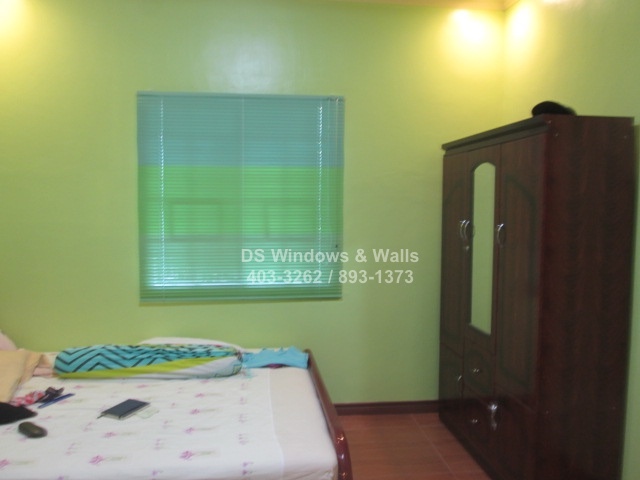 Venetian blinds doesn’t only stand just because it’s great when it comes to color combination but it is also one of the most budget friendly compared to other types of blinds. It is also practical and very functional. It is made up of aluminum so it can reflect and bounce back the heat and light that’s entering your room. If you want to see all available colors of our venetian blinds you might want to visit our stores at the 4th floor of Waltermart Makati, 3rd floor Robinsons Metro East, or 2nd floor Pacific Mall Lucena. 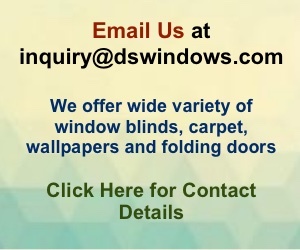 For a free measurement call us for an appointment at (02) 403-3262 (02) 893-1373 or (02) 668-9668 or email us at inquiry@dswindows.com.